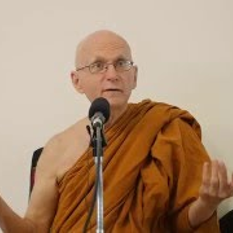 Ajahn Plien has been a monk for many decades, and is well connected with the roots of the Thai Forest Tradition. He has many tales of monastic life in the wild jungles, and is famous for his profound calm and wisdom. In this talk, he is assisted by Ajahn Brahm who acts as a translator for Ajahn Plien's wise answers to questions from the audience. Ajahn Cittapalo doesn't get to teach at AMG very often but when he does it is always to a full house. Tonight was no exception. Ajahn gave us a good grounding in beginners meditation and an often humourous talk after, then a brief Q&A. We could easily and happily have gone over-time. Ajahn Brahm uses the metaphor of a prison to outline a Buddhist conception of samsara (the process of being born, ageing and dying) as well as explaining how to escape the prison. Ajahn Vayama gives advice on how we can develop the courage to face our fears. Ajahn Brahm offers advice on how to meditate and leads a guided meditation session. Due to popular demand and numerous requests from people concerned about world events, Ajahn Brahm talks about how anxiety can turn into fear which can turn into hysteria, and how we can respond calmly and wisely to the arising of fear. Buddhism is a form of psychology that has been around for over 2600 years. Many people in the contemporary world draw parallels between Buddhism and Western Psychology. In this talk Ajahn Brahm focuses on the differences between Buddhism and psychology. We are very fortunate to have Ajahn Cittapalo and he gives us his best. A guided beginners meditation followed by a Q&A session. 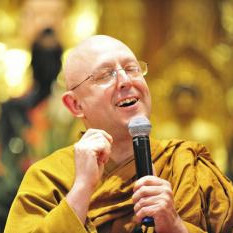 Ajahn Cittapallo returns to us and we are lucky to have him. A talk on meditation for beginners, a guided beginners meditation then Q&A. We've not seen for more than a year so it's nice to see him return. 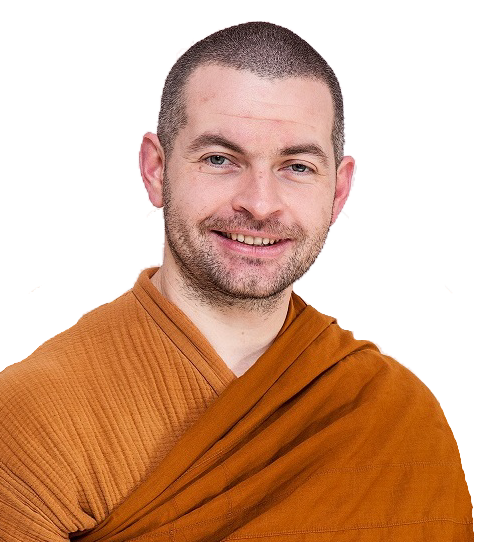 Ajahn Cittapalo is an experienced teacher so gives us an excellent explanation of meditation, a guided beginners meditation and Q&A. Ajahn Cittapalo gives us an excellent explanation of meditation, a guided beginners meditation and Q&A. Little did we know until his arrival that this would be the last time Bhante would teach at the Armadale Meditation Group, at least for the forseeable future. Despite his leaving for duties elsewhere, he gave us a sound explanation of meditation and an excelent guided beginners meditation. The Q&A included questions about where he was going and why. A most important task and a task worthy of his stature. He is missed by all and we await his return. Bhante Sujato explains meditation as simply as possible then guides us through the meditation followed by a Q&A that ran us over time. No-one was concerned and all left happy. Bhante Jag returns for his second visit of 2016 and gives us another captivating evening. Had it not been for the time constraints, I we suspect that we would have gladly been there for hours. Bhante Jag visited the west from Melbourne and graced us with two visits. He gave us an excellent explanation of meditation then a beginners meditation followed by a humourous at times Q&A. Can't wait for him to return. 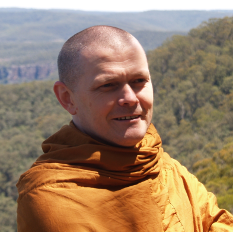 Two weeks is a long time to wait when someone as anticipated as Ajahn Nissarano is to visit. It was worth the wait. Excelent talk, guided beginners meditation and Q&A!! 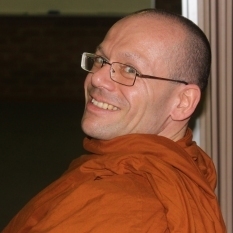 A year has past since his last visit and it is a most welcome return of Ajahn Nissarano to AMG. An excellent introduction, guided beginners meditation and a Q&A session to conclude. Plus, he'll be back in two weeks, can't wait! Two weeks later and Ajahn Nissarano is back. A guided beginners meditation, wonderful story with a Q&A session.